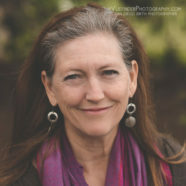 Home » Company » Andrea Meyer | Ocean Midwives, Inc.
Andrea Meyer | Ocean Midwives, Inc.
Andrea Meyer is a licensed midwife (LM) and certified professional midwife (CPM) with over 20 years of experience and dedication to midwifery and serving women and babies. She provides care to women and their families in San Diego, Riverside, and Orange County. As a midwife her values on healthcare and lifestyle align with those of all the wonderful practitioners at Ocean Wellness. She believes that a baby’s needs are best met when mothers’ are educated, listened to, supported and trusted. She hopes this will bring that new person into a loving world and into many healthy relationships. Andrea has seen that helping a mom be who she is, coupled with the help and love from her midwives, family, and community can set that child on its best path! Midwifery is a joy in Andrea’s life, both as a mother giving birth and as a profession.